TPLF’s disclosure of failure by its own mouthpiece Bereket Semeon is a nail on its coffin. Gravity – the power to pull things towards is an innate property of those celestial objects which have mass. The bigger the mass the stronger the gravity. If we go and stand on Jupiter, we barely walk as the gravity is so strong, we cannot walk as active and energetic as we do here on earth, as Jupiter is huge in mass compared to earth. Progress and sustained development of a society is a socio-economic gravity that is achieved through a proper and seasoned education system of purpose and civilized political culture that promotes freedom and these achievements are sustained only when citizens are the free and unrestrained active agents of these changes and gravitates of these transformations. Developments that are exported and made by foreign aid and foreign skills excluding its very citizens are contraband growth and therefore they are developments of infrastructures, temporary cosmetics and in the case of Ethiopia, very small, that happen only in cities where only probably 5% of the 90 million people of Ethiopia live, and will eventually collapse and especially dramatically when the connection from the outside is disrupted as there is no gravity of its own to maintain it. That is what TPLF has found today when discussing the challenges of the past and the future, the realization that the Ethiopian society is running away from them and the progress they claimed achieved was a scum at best and deception made by their notorious culture of lying and thievery of a highest order and therefore the problems reached to an unbearable weight to the Ethiopian society. The 25 years of Tigray TPLF rule is known for its appetite and addiction of contraband skills from outside and financial handouts of foreign aids to do showcasing roads and buildings of their members and supporters, disabling Ethiopians in every aspect of things that are required for real socio-economic growth and development. No judge accepts and no sane person claims a marathon victory by reaching first at the winning line using a fast mustang car, as the competition requires the actual running of people using their own physical strength and the same is true with social developments and their measures, except for TPLF. Developed nations are the ones that trained their citizens to gain knowledge and think to become creators, innovators and problem solvers to do the things that cause developments and maintain it further, not the ones which use contraband skills and foreign aids and products – as they are only users. It is the free thinkers and enabled citizens that produce knowledge and solve problems of their society. It is the trained citizens that produce medicines and cure diseases, it is the educated citizens who design and build roads bridges of commerce and transportation for the future and it is when these happen that a society indeed display a real growth and social development to live better in freedom and maintain it. First, the inability of presumably assigned ethnic leaders of regions and government ministerial posts, to make decisions by their own, i.e. they all receive orders from the Tigray TPLF leaders which makes power flows only from one direction, one reason of paralysis and the complete absence of freedom even for those who are in the nominal pseudo political power. The second astonishing reason he said was the size of wealth the Tigray TPLF members and supporters have from no apparent reasons (wealth obtained by outright theft of government resources, nepotism, and corruption, running illegal schemes by being in government or family members of those who are in power) reached to a point where the Ethiopian people can no longer accept and shoulder it. 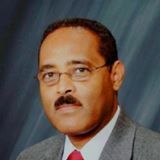 He further said without thought, creating false debates on the aftermath of the social political crises that happened recently and current issues with some selected sectors of society, helped them to mollify or smooth and create delay factors of actions of the Ethiopian people against this massively abusive TPLF scheme and thereby calm down the public continuous outcry and save their temporary stay in power, although the future is still uncertain to them but certainly clear to the Ethiopian people – to make them receive justice for the crimes they have committed. N.B. I have modified my last statements ” send them to dedebit – their cave academy of deception and thievery ” to what is written now as the former paints light case on their crimes.